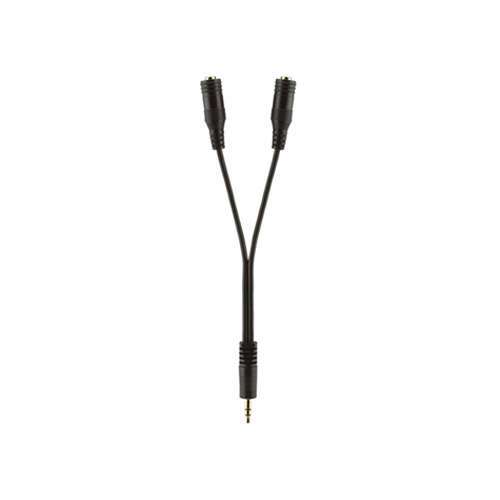 TigerDirect has 1-to-2 headphone jack splitter, free after $6 rebate. Belkin F8Z359tt06INCHP Headphone Splitter What better way to spread the love for your favorite musicians then to share your music with the help of the Belkin F8Z359tt06INCHP Headphone Splitter? The Belkin F8Z359tt06INCHP Headphone Splitter allows users to hook up two headphones or speakers to the mini-stereo jack on an iPhone, iPod, MP3, or CD player, creating an experience of sound that’s perfect for two.